A professional website is critical in today’s competitive marketplace, especially for small businesses trying to get a leg up. Custom websites are all about professionalism — the look and feel you project to potential customers can mean the difference between them placing an order with you or going elsewhere. In an age where the average user makes a decision about the professionalism of your business within five seconds of landing on your website, you can’t afford to skimp on design. It’s best for your business, it’s best for your customers, and it’s best for the future growth of your company. It also happens to cost more than a free template site. That’s OK because it’s well worth the money. The bottom line is, your current web design is costing you money. And it’s not just about the design on the surface, which indeed detracts from your professional appearance; but it also has to do with poor functionality and color choices, cramped text and mistake-riddled content. Research shows that sub-par web design can detract from your business reputation and marketability, resulting in a decreased capacity to boost conversion rates. Let’s break down what goes into calculating the cost of your website. Nowhere is this truer than in the world of web design. Sure, you can get a free website or pay for a cheap one, but you’ll get far fewer features and content than you would if you were to get custom web design. In addition, you’ll get stock photos and design templates that everyone else around the web may have — not to mention your functionalities and interactive elements will be greatly reduced with a templated site. You can’t afford to be behind the eight ball, especially at this early stage of the game. You’re killing your chances of making real progress and being a viable presence online by opting not to go with professional web design. While it’s true that small business website costs have decreased in the last few years, it’s still an investment of several thousand dollars. 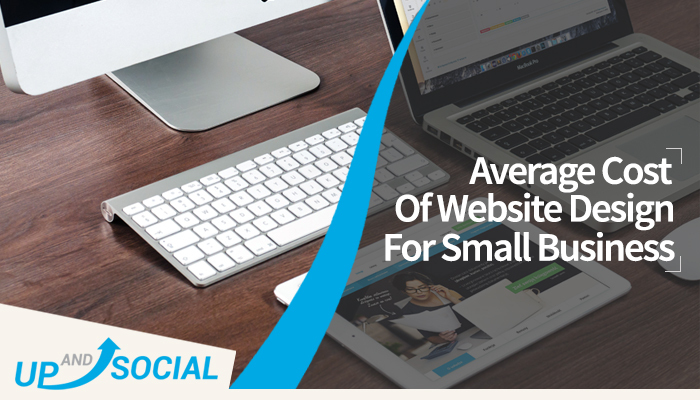 The typical small business website cost today is about $10,000. Many factors drive that price, particularly the fact that responsive design is such a big part of design nowadays. That means your site will display correctly on any device your consumer is using, from mobile phones to desktops to tablets. There are more than 230 possible screen sizes as of 2017, so you can see why it would take a designer more time and thus more money to ensure a high-functional responsive web design. Improving visitor experience pays off immeasurably. According to Inc.com, 63% of actions resulting from mobile searches occur within one hour of the search. Web sites that don’t load properly or are difficult to navigate depending on the device used can deter from that action, causing consumers to go elsewhere for their needs. It doesn’t always have to be about the beauty or stunning nature of a website. Usually, what’s more important to users is the functionality. According to Moz.com, research has found that 76% of users believe the most important factor in the design of a website is that it makes it easy for them to find what they want. Surprisingly, just 10% of users referenced beautiful appearance as the most important thing. If you’re spending somewhere in the $2,200 range, you’re not getting responsive website design. Pre-made templates will cost you between $35 and $200, while a custom-made website, with pre-made templates, costs between $300 and $1000. Paying a web designer for a completely customized website with no templates will cost you between $5,000 and upwards of $10,000 depending on the size of your business, the features and functionality you want, and your budget. Here at Up and Social, our rate is $100/hour and we typically charge anywhere from $4,500 to $10,000 for custom designed websites. Ready to get serious about your website? Contact our Boston-based web design firm at 857-496-5126 now to more fully explore the average cost of website design for small business. We can give you a quote based on your specific needs.